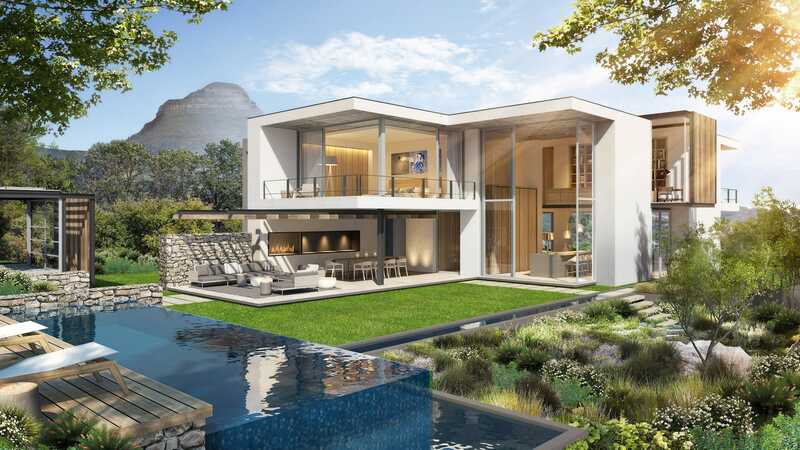 Nestled on the slopes of Table Mountain, this home for a young couple embraces the beautiful natural landscape provided by the mountain with expansive views of the city and the surrounding Cape Town. 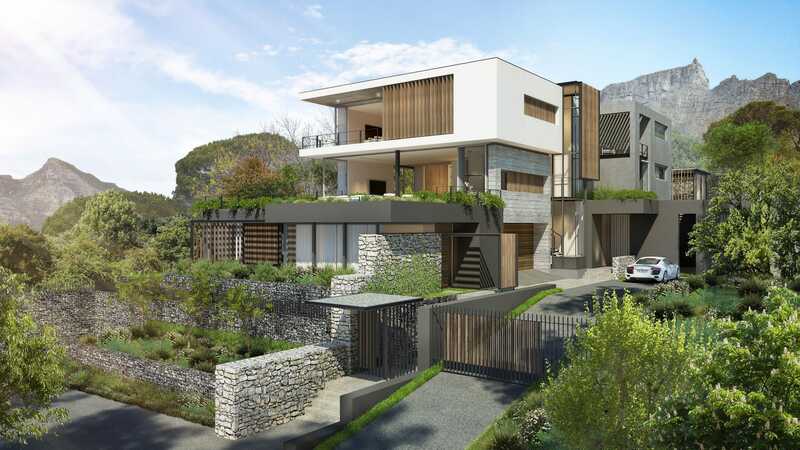 The challenge that the site presented was to negotiate the sloping terrain leading into Table Mountain National Park with a coherent spatial flow, mediating environmental factors while maximizing and framing the panoramic views of the city and mountain. 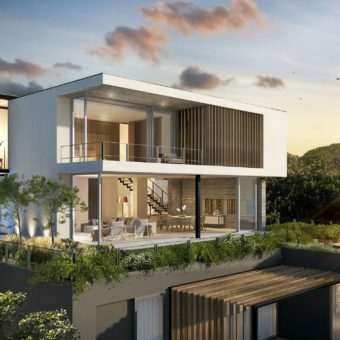 The building is defined by its relationship to the landscape, in some places revealing glimpses of the natural setting while in others blurring the definition of interior and exterior spaces by opening the house completely. Natural materials appropriate to the area are contrasted with clean geometric shapes to define and articulate the house. 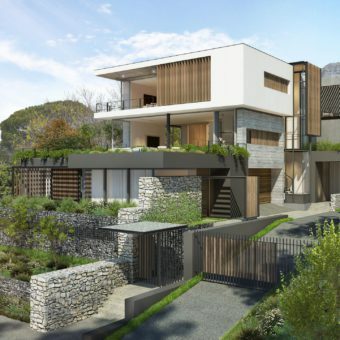 The building follows the mountain slope to form a base, articulated by natural stone atop which a new landscape is created for the building to occupy. 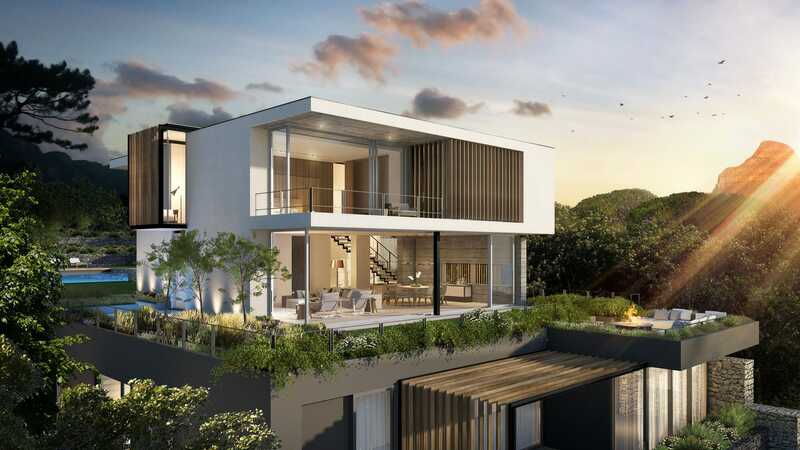 The living area is openable on both side, creating a transparent volume which allows a consistent flow from the views of the city bowl and harbor through to the prominent mountain setting. 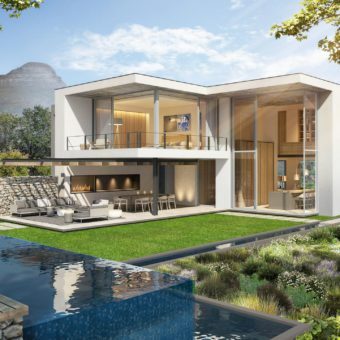 A double volume space at the mountain side of the house allows interaction between the more private spaces above and the living area below, connecting both to the exceptional natural setting of Table Mountain.